The Huddersfield Town Foundation is encouraging female participation in football through its thriving Premier League Girls Programme and by working alongside the Huddersfield Town Ladies. In February 2018, the Town Foundation joined 88 clubs around the country by running Premier League Girls football programmes, to inspire more girls aged 11+ to get involved in football. Since the launch of the programme, 103 girls have already taken part in the sessions, which are available to females of all ability! The Town Foundation is one of 88 professional clubs who run the programme, providing a wide variety of sessions all aimed at different audiences. 51,622 women and girls have been involved since the inception of the programme in September 2013. The Town Foundation runs eight different Premier League Girls football programmes, three High Schools sessions and five community ones. The programmes are continuing to expand, and another community session is set to launch at the Leeds Road Playing Field after Easter. If you would like to know more about the sessions or get involved please email poppy.brennan@htafcfoundation.com or call 01484 503 773. Whilst, the Premier League programme allows girls to participate in football, the Town Foundation also works alongside the Huddersfield Town Ladies Team, who compete in the Women’s Premier League North Division. Coaches from the Town Foundation currently assist the Town Ladies team to help develop the players and prepare them for weekend matches. The Ladies First Team currently sits ninth in the 11 team Premier League, with 20 points from 20 games. Not only this, but the Town Foundation also assists in the coaching of the Ladies’ Development and Academy teams. The Town Foundation has also set-up a new FA programme called SSE Wildcats, which aims to capture the interests of girls aged 5-11 and help increase sport participation. “It’s been great to see a number of women and girls get involved with our Premier League Girls football programmes. “If you’re interested in sport or just want to get fit, I would urge you all to get involved in some of our sessions. 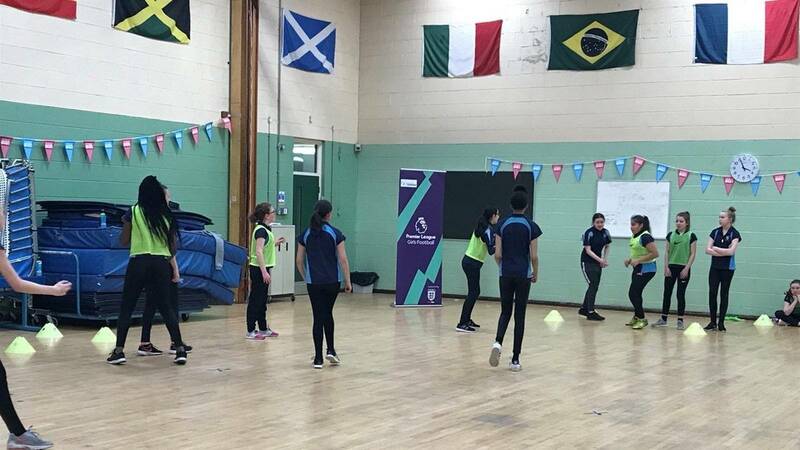 “Increasing female participation in football and sport is something that I am really keen to do and hopefully we will continue to see these programmes grow. For more information on the Town Foundation please follow @townfoundation on Twitter.